One reader recently posted a comment on the blog asking- He has 1 Cr black money. How to convert it to white? I simply answer him that fastest way to convert this money into white is declaring it and paying tax on it. I am sure that he must be cursing me. However, it is known fact that Tax Evasion, Tax Avoidance, and black money are very common in India. Now, guess how many people actually pay Income Tax in India? As per recent data released by Income tax only 4.1% filed income tax returns in 2015-16. 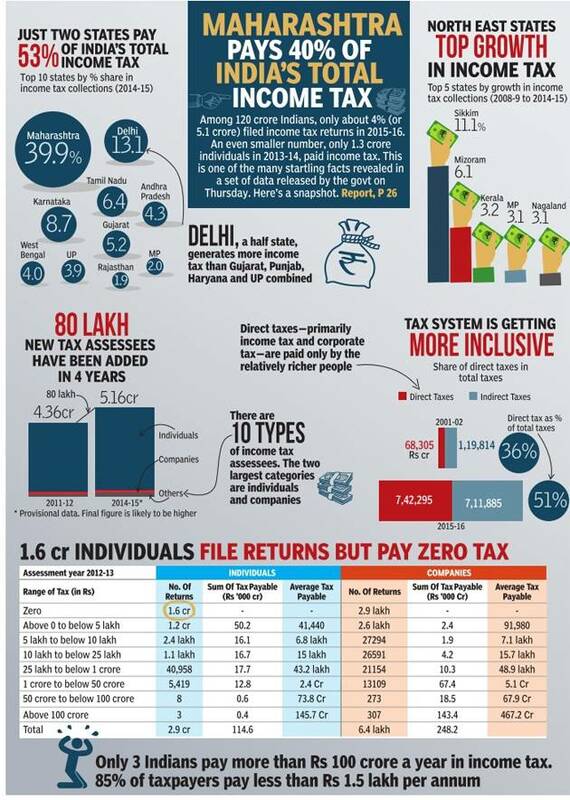 Out of 125 Cr people, only 5.16 Cr people actually files income tax returns in India. As per data, actual taxpayer count is even less than 5.16 Cr. Only 1.3 Cr individuals in 2013-14 paid income tax in India. So, In India very less number of people pays taxes in India. Why? Let’s try to find out the answer. Why Tax Evasion and Black Money? If the person doing a job earns 10 Lac per year, he has very less scope to avoid tax payment. At the most he can save few thousand rupee tax by using few tax saving options. He has to pay tax anyhow. He cannot avoid tax but, he can take a bribe and make black money to overcome the loss of tax payment. Now let us look at a business person. If a business person is earning money more than 10 Lac per year, he has wide scope and tools to avoid tax payment and he actually does tax evasion by doing a black transaction. 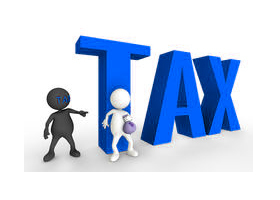 A tax consultant chartered accountants and advocates help them in finding various illegal ways for tax evasion. Ocean of black money flows in India from the house of a businessman and corrupt Indians. They are the master of creating black money. They are backed by politicians. A big politician helps them from the tax officials. They work together for the black money. Similar to these there are several self-employed people in India like doctor, chartered accountant, shop owner, stock broker etc. They earn more than Rs 10 Lac per year but do not pay income tax or pay few thousand rupees for the namesake. In India everyone accepts cash but no one is willing to accept payment by cheque. This is because on cash they can avoid tax payment. I have seen many doctors and advocate asking about fees in cash only. In addition to this, we have a tradition to pay bakshish (bribe) in India. We normally pay a bribe for getting work done. In India without a bribe, nothing moves. This is the additional reason why we have a lot of black money in India. Where Black money is parked? All these black money is parked at various places. Most common place to park this illegal money is real estate. In addition to this, black money is also parked in the bank with the fake names. It is also known fact that a large amount of black money is parked outside India in the swiss bank. Actually we have accepted this reality and we are not willing to change this situation. Everyone is happy with the black money…! It is rightly stated in movie Yashwant – सौ में से अस्सी बईमान फिर भी मेरा देश महान. More than 80% Indians are cheater yet India is the best country. Today almost every Indian has decided to generate black money by doing tax evasion and they are rigorously following it. The government and politicians are also aware of the situation. They can control this situation very well but they are not willing in doing it. In past few decades very less work is done to enhance a number of taxpayers by the government. Only one scheme is announced by the government to disclose black money voluntary. If Indian has the willingness to disclose black money, US$50 trillion would not be parked in Swiss bank by Indians. At last, I just want to say that it is matter of shame that only 4% people of India (the world second largest country in population) pay taxes. If we check data of USA 53% of people pay taxes in the USA. I am sure many of you will be unhappy by reading this bitter fact, sorry but I could not stop expressing my feeling. So, if you have some honestly left you should stop tax evasion and generation of Black Money….! Do share this post in order to stop tax evasion and generation of black money.